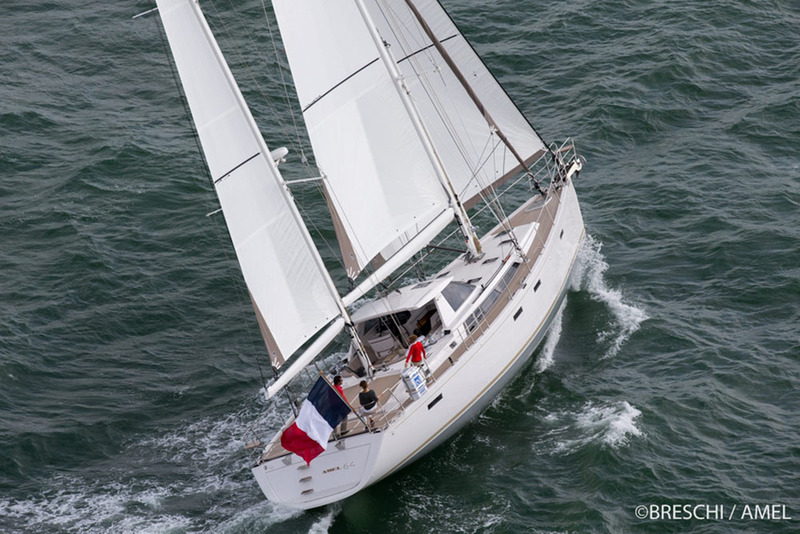 An innovative long distance cruiser that marks the start of a new chapter for this well known French yard. 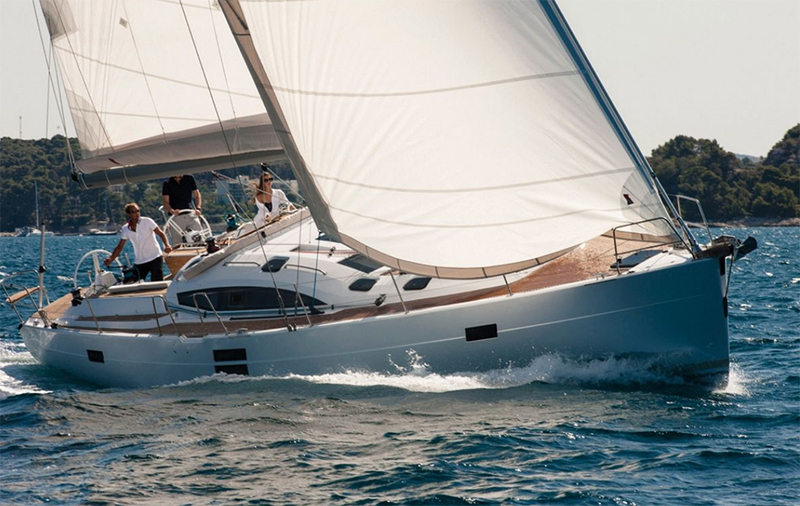 The newly announced Amel 50 breaks with many of the company’s established traditions, while retaining the essential ethos of its top quality long distance cruising yachts. 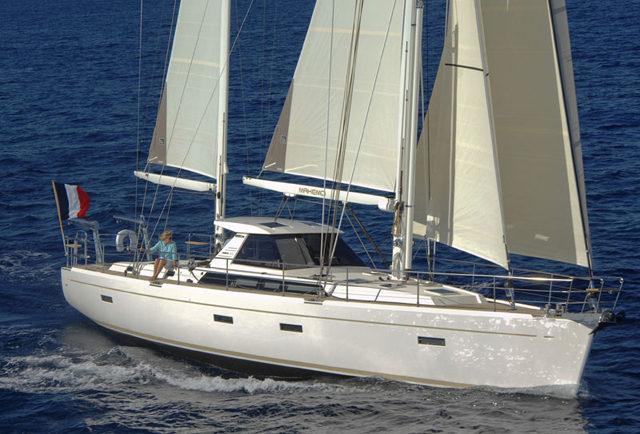 The most obvious change is the sloop rig – almost every Amel produced in the past 40 years has been a ketch. So why opt for such a dramatic departure from tradition? 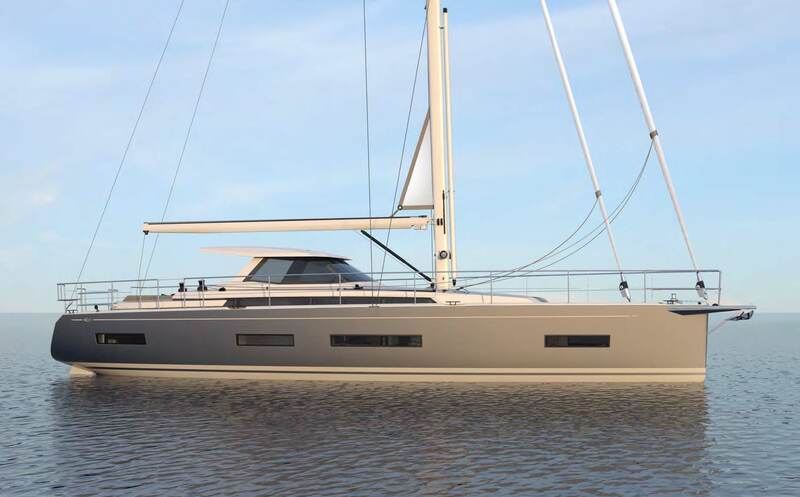 “The development of equipment such as motorised furlers means a ketch rig is no longer necessary on a boat of this size,” explains naval architect Olivier Racoupeau. The Amel 50's hull shape is bang up to date. 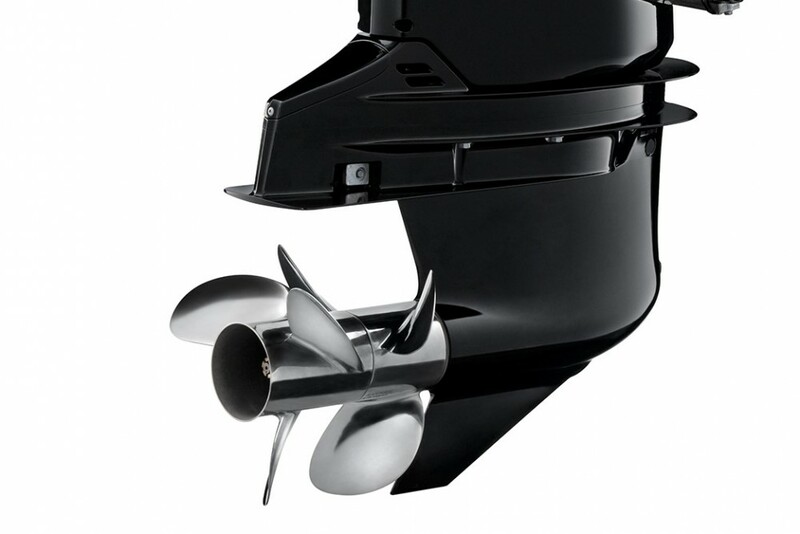 The hull shape is also absolutely up to date, with a vertical bow, broad transom and twin rudders. A fixed composite bow sprit houses the anchor and can be used with asymmetric spinnakers and Code 0 reaching sails. Nevertheless, many trademark Amel features remain, including a well sheltered steering position in the centre cockpit. As well as the solid protection at the front of the cockpit, there’s also a hard top that runs its full length. Aft of this, above the stern cabin is a large flat area with cushions for sunbathing. 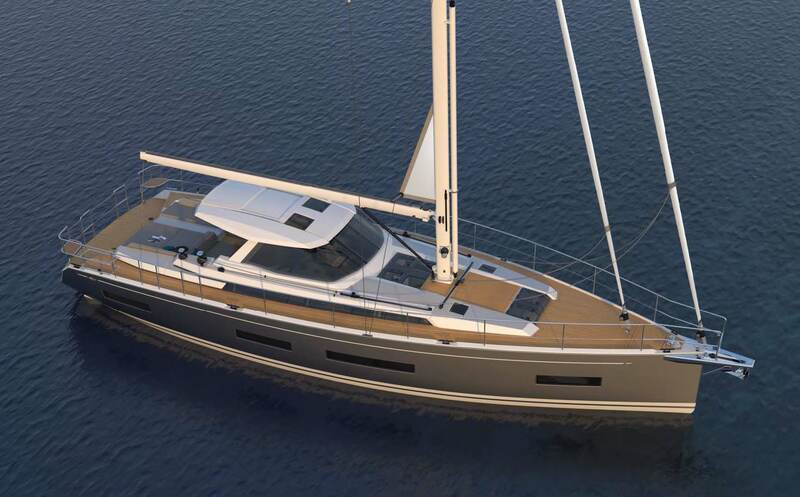 Viewed from above in this artist's impression, the boat looks pretty special. 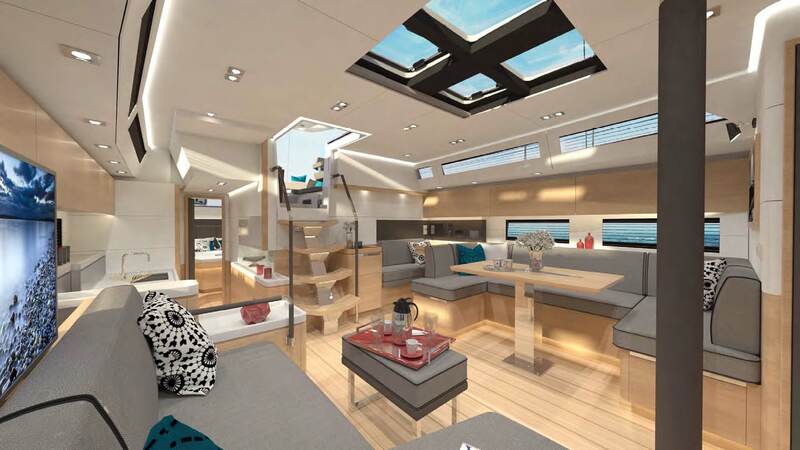 Interior accommodation is brighter and more spacious than the company's other more traditional designs. Interior accommodation, while much brighter and more spacious than the company’s traditional models, remains true to the company’s founding principles. There are watertight bulkheads forward and aft, plus a dry bilge with a huge amount of stowage. The standard arrangement has a large owner’s suite aft, plus a double and smaller twin cabin forward that share the second heads compartment. 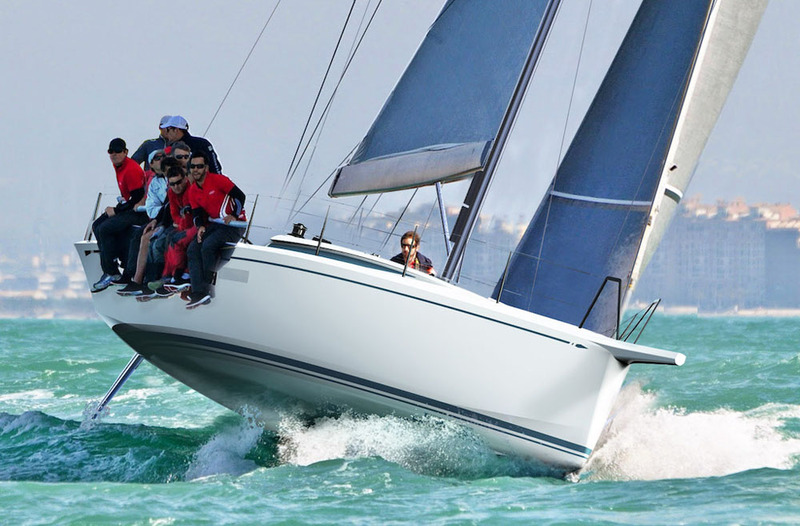 The first boat was scheduled to hit the water for initial trials in La Rochelle during June and July and will then be publically launched at the Cannes Yachting Festival, from September 12-17, 2017. 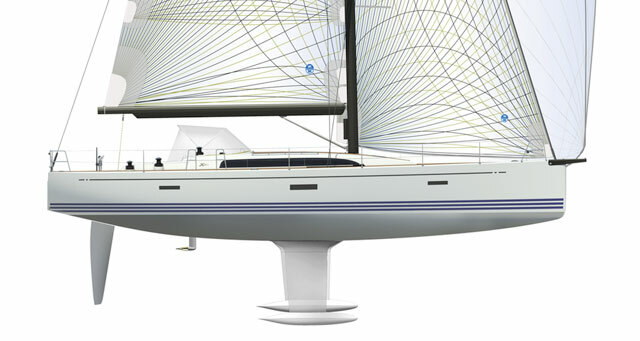 The new model is the smallest in Amel’s range, which also includes 55ft and 64ft ketches. Read our feature on four of the best Amels to learn more about the history of the yard and visit Amel's website for more information on the Amel 50.